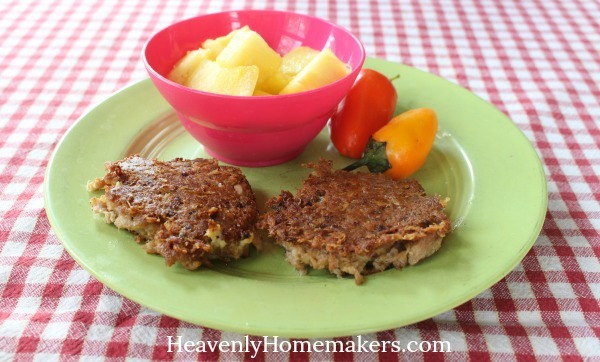 These Simple Tuna Patties are definitely going to become a new staple around our house. Since we’re talking about Simple Meals on a Simple Budget right now, how about we do a little math story problem? 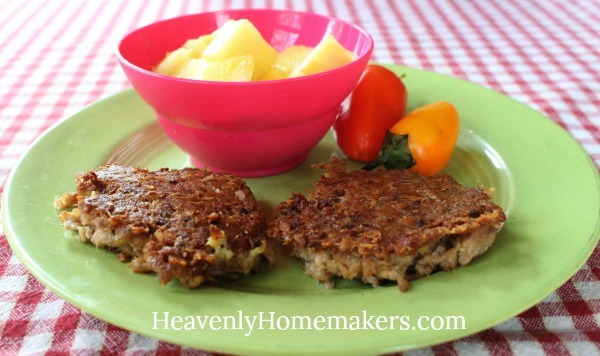 Laura needs three cans of tuna to make Simple Tuna Patties. Her tuna costs $1.14 per can. What is the cost of her tuna for this recipe? This is math in the real world, Baby. It’s the answer to, “But when will I ever use this stuff in real life?” that we all asked back in our middle and high school days. Though I’ve still never used one lick of the Geometry and Alegebra 2 I worked so hard to learn in high school so I’m still a little bit bitter about that. Well anyway, $3.42. The answer to my tuna math problem is $3.42. I will admit that before trying these, I thought the idea of mashing tuna into patties and frying them sounded weird. So if you also saw the title of this recipe and got weirded out, let me assure you of how wonderful these taste! Every single person in my family loves these. They are easy, filling, delicious, and inexpensive. So how about another tuna story problem? This one is more complex. Prepare yourself. Laura pays a minimum of $5.60 for one pound of grass-fed ground beef. 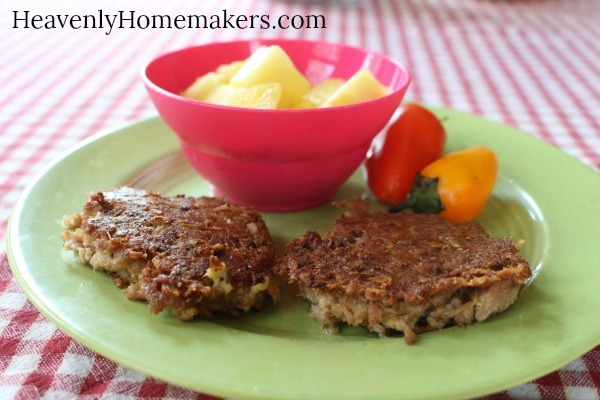 If she makes hamburger patties for her family, she uses two pounds of ground beef. 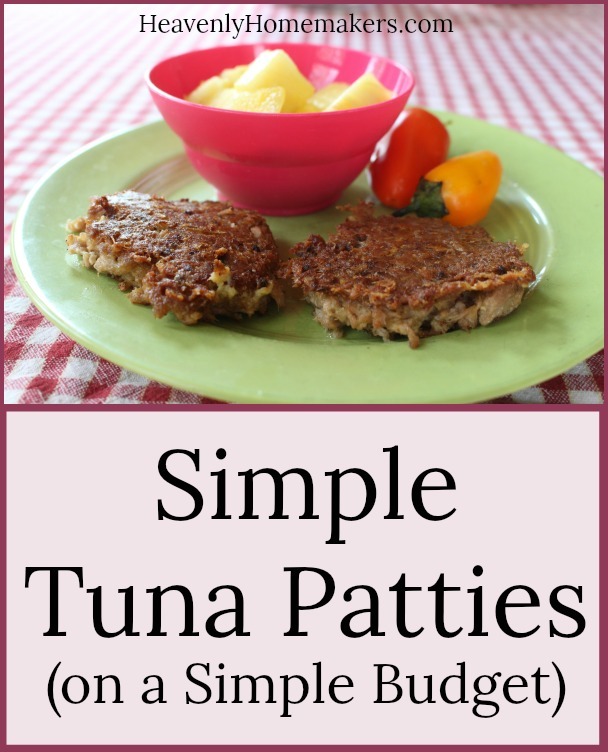 How much money does she save when making one recipe worth of Tuna Patties instead of hamburger patties? Here, I’ll make it easy. Two pounds of burger = $11.20. $11.20 take away $3.42 is $7.78 and that is how much money I save when making these Simple Tuna Patties for my family’s lunch. In a bowl, stir together all ingredients except for the oil. Heat about 3 Tablespoons of oil in a skillet. Drop a large scoop full of tuna mixture into hot oil, pressing to flatten into a patty. 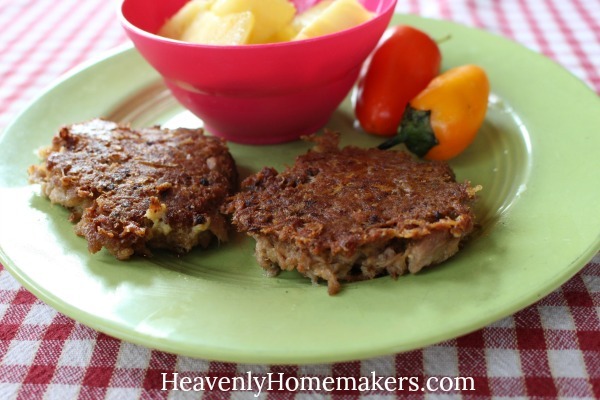 Cook for about 2 minutes on each side or until both sides of the tuna patty is golden brown. If Susie becomes a Simple Meals member for the tiny cost of $1.00 per week, receiving complete and easy meal plans, grocery lists, recipes, time-saving tips, and more, how happy is Susie every single week of her life? And how much time has Susie saved each week? And how much money has Susie saved? And how well does Susie’s family eat?? 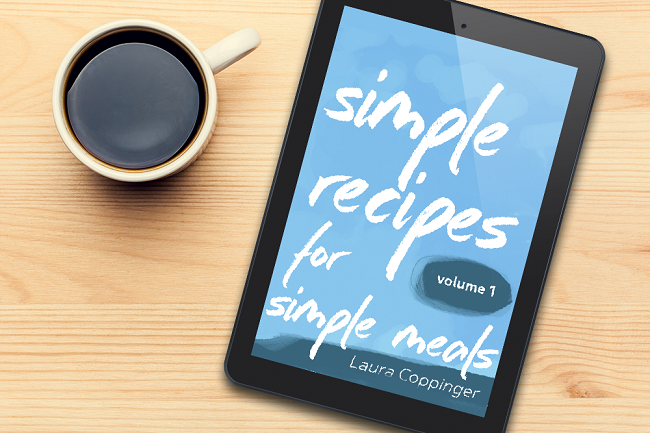 Did you get your free Simple Recipes, Volume 1 eBook yet? 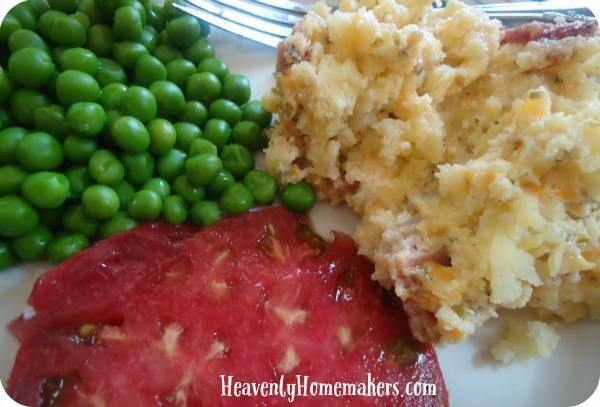 You will LOVE how easy it is to put real food meals on the table. 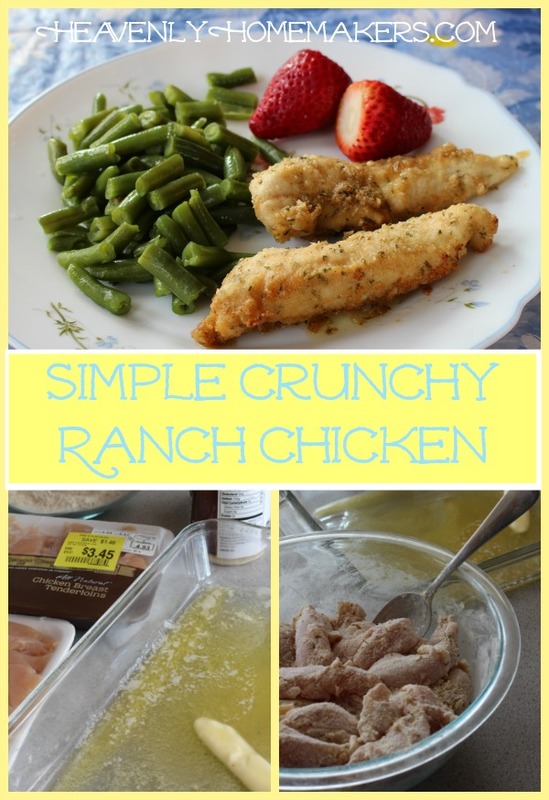 As you can tell with the Simple Garlic Shrimp recipe and now this Simple Crunchy Ranch Chicken Strips recipe – we are now well on our way to Simple Recipes, Volume 2. Let’s keep the Simple Recipes coming! Today I’m excited to share a recipe that has been a family favorite for several years at our house. Of course, seeing as I like everything to be simple now, I’ve pared down the steps it used to take to prepare this chicken. (Pick up one little piece of chicken. Dip the piece of chicken. Dip it again. No thank you.) C’mon. We have more important things to do with our lives…like attempting to have a Family Movie Night. Attempting? Yes. Allow me to share a little issue I have as of late. I get excited that our family has an actual free evening. We decide to have a movie night and discuss which movie to watch together. We make snacks and special hot drinks to enjoy while we’re watching the movie together. I begin to get nervous, knowing my eyes struggle to stay open if it gets too late. HURRY EVERYONE!!! Thankfully, we’ve started the “get the movie set up and snacks on your plates” ritual at 8:00. Surely I can handle staying awake for a movie with it being so early, right? Well, one would think. We finally get situated and start the movie at 8:32. I finish my snack and fall asleep promptly at 8:47. I wake up just as the credits roll at the end. Well, anyway. The Simple Recipes and Simple Meals resources do everything they can to keep you out of the kitchen and offer you more family time. As far as staying awake during a Family Movie Night goes – you’re on your own. There’s obviously nothing I can do to help any of us with this need. Cut chicken into strips about 1 inch wide. Drizzle ½ cup melted butter into the bottom of a 9x13 inch baking dish. In a bowl, stir together parmesan cheese, flour, and ranch dressing mix. Stir in the chicken pieces until they are coated. Spread the prepared chicken pieces into the butter in the pan. Drizzle the remaining butter over the chicken. Bake in a 375 degree oven for 25 minutes or until chicken is no longer pink. If desired, broil chicken for about 2 minutes to crisp it up before serving. *Here’s my Homemade Ranch Dressing Mix recipe. 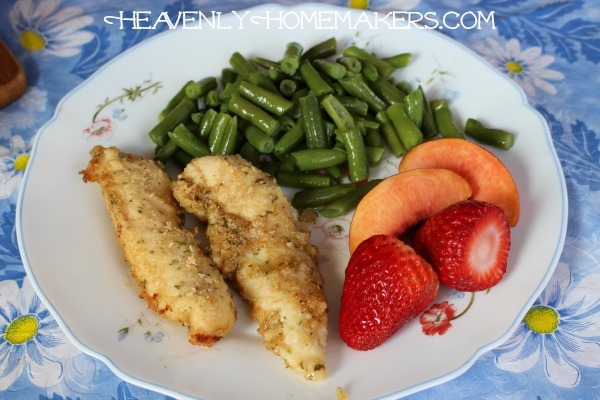 Notice the recipe offers you a “cheater” method to get these chicken pieces into a pan in a short amount of time! You can dip each piece one at a time if you want, but I simply melt the butter into the pan, stir the chicken all together in a bowl with the flour mixture, then dump it into the buttery pan. It’s so simple! Typically I prefer chicken thighs over breasts because they are juicier and more flavorful. For this recipe though, I like chicken breasts. I also keep my eye out for mark-downs at the store on chicken breasts pre-cut into strips. It’s a time saver and the mark-down keeps the price reasonable! ‘Fess up! Can you stay awake during movies? Here are more Simple Recipes you’ll love! Truly, all of these recipes are ridiculously easy, good, and nourishing. 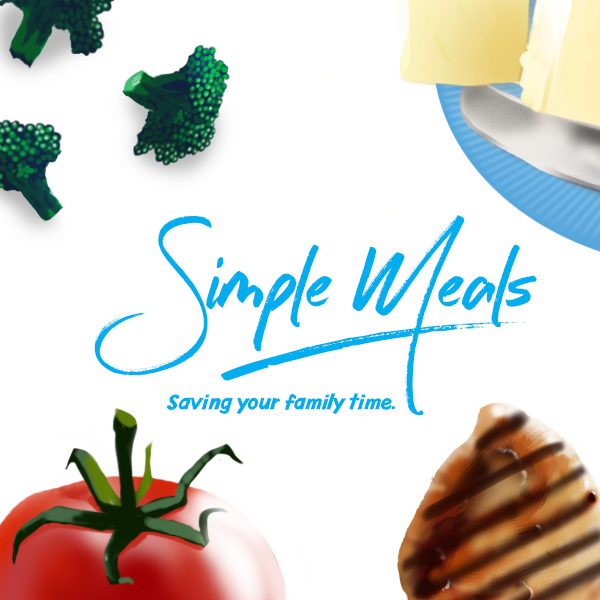 If you haven’t joined Simple Meals yet, you are missing out on SIMPLE becoming even MORE SIMPLE! (It’s actually possible. I do the work for you.) Check it out here (and get $10 off!). Get an full Simple Meals Planning Packet in your inbox every single week! Our oldest son is home from college right now, so we are a family of six again. So what if he’s been “away,” living in his college dorm only 8 blocks from home? We don’t see him much and we miss him. Having him home for longer than five minutes has been a joy. I would say that we’re taking life easy while we prepare for Thanksgiving, but would you believe our son #2 has two huge projects due for his online college history class on Thanksgiving day? What? And yes, he would have had them done ahead of time except that it wasn’t possible because of all the other projects he had due before these. I’m telling you, these online classes my kids take are threatening to kill us all with a long slow death. (The on-campus classes are much more managable.) Well, anyway. We’re hosting Thanksgiving this year for 15-20 people from town. Then we’ll head to Kansas to celebrate “Thanksmas” with my side of the family. I baked the turkeys over the weekend. The green bean casserole is in the freezer. Slowly but surely I’m pulling the meal together so that come Thursday, I can actually enjoy the day instead of cooking and cleaning for hours! 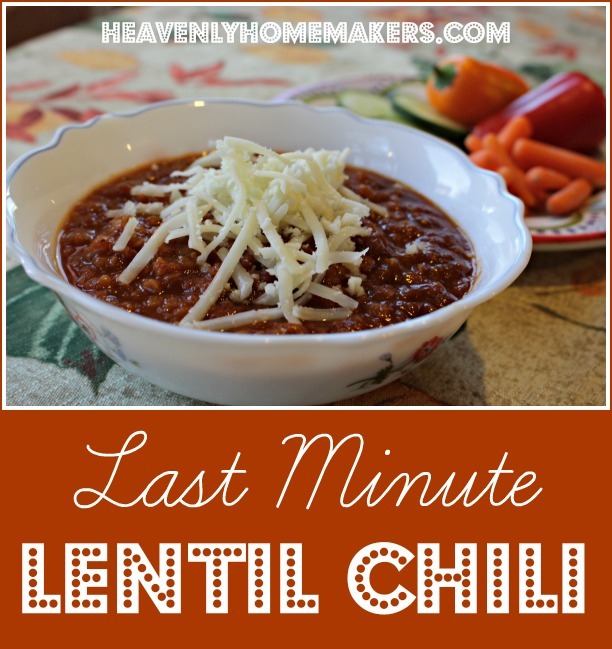 Meals like this Simple Last Minute Lentil Chili are amazing for weeks like this! Thaw no meat. Soak no beans. Just go to the stove and put this soup together. Truth: I didn’t think I would like chili that didn’t have meat in it. I am such a meat loving girl! We are a meat loving family. In a large pot, heat and stir olive oil with minced onion, garlic, and red pepper. Add chili powder, lentils, tomato sauce, and broth. Bring mixture to a boil, then turn heat down to simmer for about 30 minutes or until lentils are tender. Serve with cheese and/or sour cream if desired. 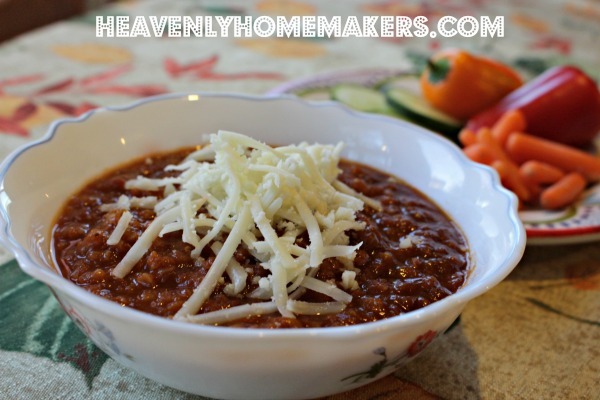 Let this chili recipe save you some evening this week while you’re busy preparing to host or travel! Don’t do all the work yourself! 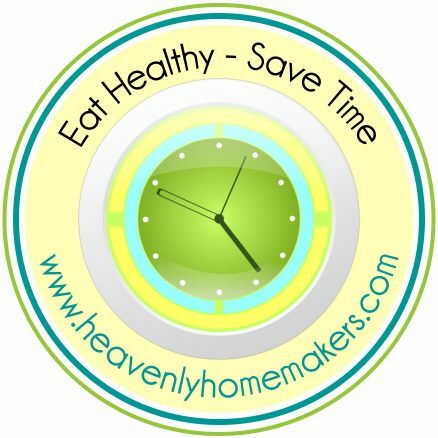 Let Simple Meals save your family time! Do you have big plans for Thanksgiving? Some of you live in the land of fresh fish. Me? I live in Nebraska. Now, Nebraska is wonderful and beautiful and I love it here (winters notwithstanding). We have beautiful farm land and vast fields and wonderful fruit trees and orchards, but we are missing one thing. We don’t have an ocean. Not even a little one. So fresh fish? I see (and smell it) it sometimes at the store when I go to the city. But I know it didn’t come from our local oceans and I’m not sure how far it had to swim to get here. All of this has caused me to shy away from buying fish very often. 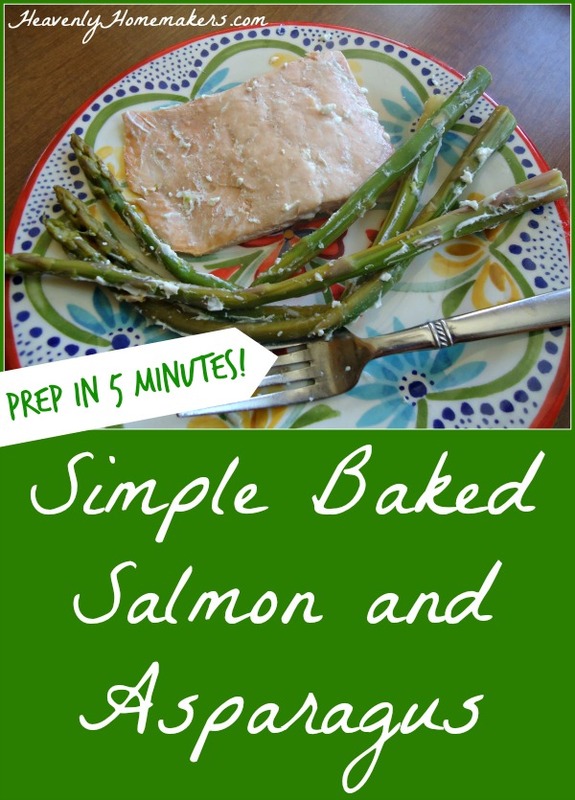 Seeing as this Baked Salmon and Asparagus recipe tastes amazing – even with my pitiful frozen salmon (from shhhh…Wal-mart) – I can only imagine that those of you with a fresh fish source will cry happy tears of joy when you bite into this because your version will taste even better than what I experience. Someday I’m going to visit my auntie on the east coast and eat some actual fish. Someday. How Simple is This Meal? Put asparagus in a dish. Drizzle it with lemon juice and olive oil. Toss on some onion slices. I sat in my chair working while I walked my 14-year old through the process of making this. It took him 5 minutes. You guys – it takes longer than that to make a sandwich! I am so sold on this recipe I think I’ll make it have my 14-year old make it every single week. Lay asparagus along the bottom of a 9x13 inch baking dish. Place salmon fillets over the asparagus. Drizzle olive oil and lemon juice over salmon and asparagus, then sprinkle with salt and pepper. Slice onion, then lay the slices over the salmon. Cover and bake in a 400 degree oven for 20 minutes. Don’t like asparagus? (Why? Why don’t you like asparagus??!) You can use any veggie you do like. Or use a combination of veggies. Green beans, carrots, broccoli, cauliflower – anything should work deliciously. Now tell me. Do you have a source for fresh fish? I promise not to get jealous if you say yes. Yep, pretty much. What’s not to love? You might also love knowing how easy this is to make. Cook the bacon, stir in the other ingredients, spread it all in a cooking dish, put it into the oven. Easy. It does help if you have premade frozen hashbrowns and a jar of homemade ranch dressing mix ready to go. Just please put the lid on your ranch dressing before you shake it up. Please. I’m only here to help. A big thanks to Plain Chicken for the idea for this recipe! I’m excited to think about possibilities of ways to continue tweaking this. Maybe add some cooked chicken to the mix? What else can you think of to add to this dish? Cut bacon into bite-sized pieces and cook. In a large bowl, stir together cooked bacon, shredded cheese, sour cream, and ranch dressing mix. Fold in frozen hashbrowns until all ingredients are well combined. Bake uncovered in a 350° oven for 45-60 minutes or until casserole is lightly browned and bubbly. Lately I’ve been finding really great deals on packaged hashbrowns at the store, so I’ve picked up a few to save me some time. I much prefer homemade, but busyness doesn’t always allow me the luxury. It’s good to be relaxed and flexible about healthy eating, right? Right. 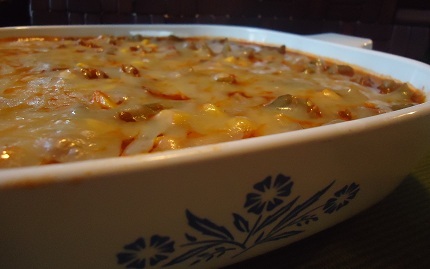 So far I’ve only served this casserole for lunch or dinner. But I also think it would be great for breakfast or brunch! Make the casserole as directed. Before baking, cover well and freeze for up to three months. To cook and serve – thaw and bake as directed. Or, cover frozen casserole and place it into a cold oven. Turn the oven on to 225° and bake for 2-3 hours or until casserole has thawed, baked, and is heated through. Note: This recipe is naturally gluten free. Hold onto this one if you have to avoid gluten – or so that you can bless friends who eat gluten free! 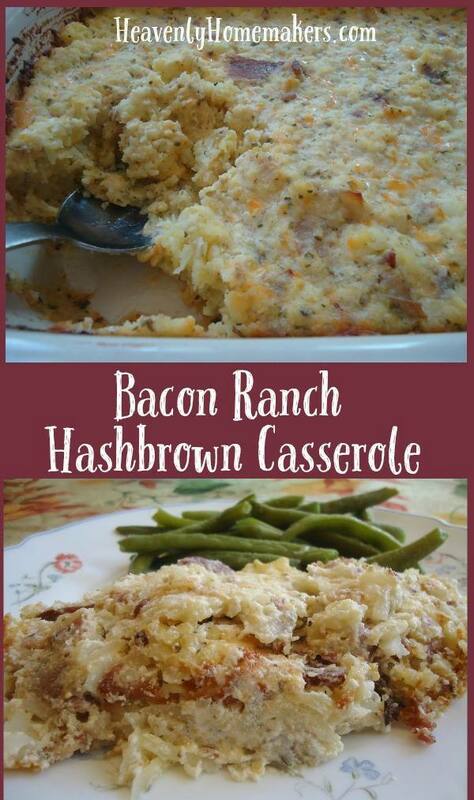 I’ll definitely be making this casserole often! Since it’s freezer-friendly, I’ll likely be making two or three at once so I can have no-brainer meals on hand for busy nights. After all, why dirty up more dishes tomorrow when tomorrow will have enough dirty dishes of its own? Right?? 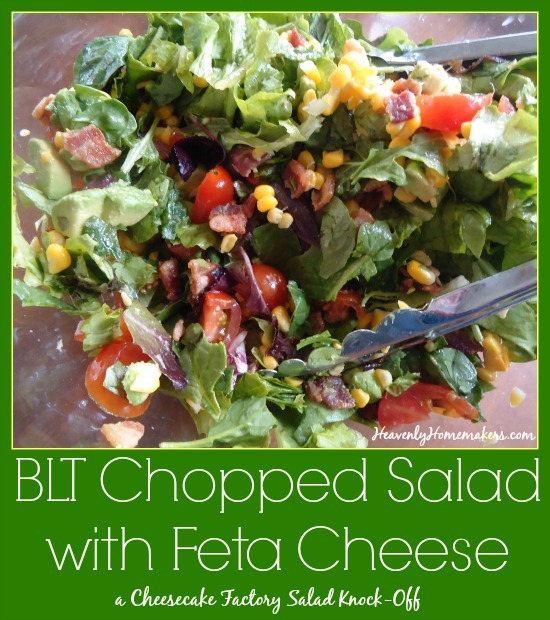 Who loves a Cheesecake Factory BLT Chopped Salad more than cheesecake???? This girl. I’ve only been there a few times, but I found a salad there that I love soooo much. This begs the question: A salad? At cheesecake factory? Why? See, here’s the thing. When one goes to the Cheesecake Factory, one wants to enjoy the cheesecake right? Therefore, eating a salad as a meal preceding the cheesecake makes perfect sense. One must save room for the cheesecake! That is how I discovered this salad. Or a salad much like this. I believe the salad I ordered at Cheesecake Factory had chopped apples and some chicken in it too (but it’s been about a year since I’ve been there so I can’t remember all the specifics). Add those to this if you like. All I know is that this salad is so good that our family devoured a huge bowl of it – two days in a row. And I want to make it again tomorrow. Helpful hint: Want to get your kids to like salad? Add BACON. Toss salad ingredients into a large bowl. In a small jar, shake together dressing ingredients. I can’t tell you how delicious and flavorful this is. You MUST try it. Every bite is delicious. What’s your favorite thing to get at Cheesecake Factory? 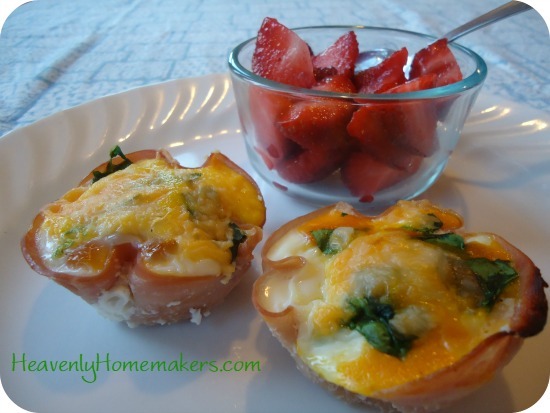 Easy Ham and Egg Breakfast Bowls – a Quick and Filling Breakfast To-Go! See that? The ham is the bowl. Isn’t that clever? I didn’t think of this myself, but was enlightened by my friend who was excited to tell me about her fun breakfast of the day. She knew I’d need to know about this idea. She knows me (and my hungry crew) well, don’t you think? Everyone get out your muffin tins and get ready to have some fun. 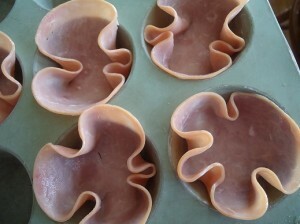 Push a piece of thinly sliced ham down into each muffin cup. Crack an egg into each “ham bowl.” Poke each egg yolk with a fork and carefully scrambled it around inside the bowl. Sprinkle with salt, top with cheese, and garnish however you like. Bake in a 350° oven for 10-20 minutes or until the eggs are cooked through. You can also scrambled up your eggs in a dish, and then scoop some out into each ham bowl if you prefer. My kids like the texture of these better if I do it that way. 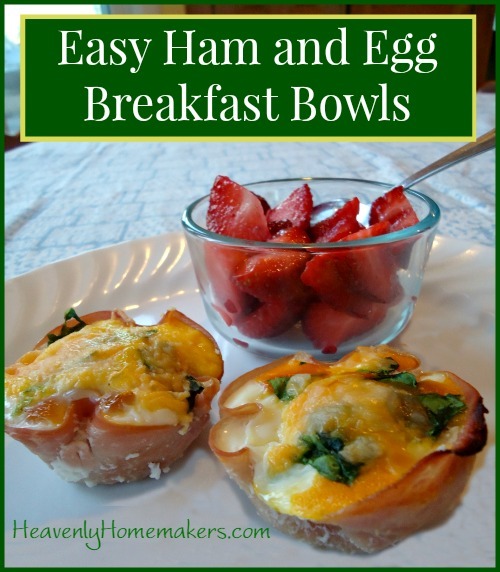 Easy Ham and Egg Breakfast Bowls - a Quick and Filling Breakfast To-Go! Crack an egg into each "ham bowl." Poke each egg yolk with a fork and carefully scrambled it around inside the bowl. Sprinkle with salt, top with cheese, and garnish however you like. Bake in a 350° oven for 10-20 minutes or until the eggs are cooked through. On Sunday, we got home from church at 11:55. We were eating lunch by 12:02. 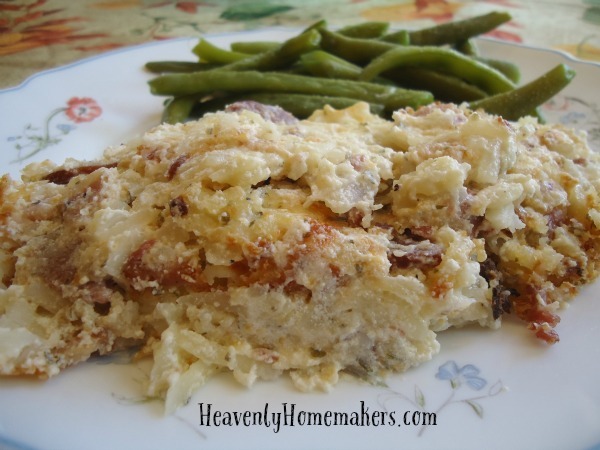 It was a hot meal of Lasagna Casserole, green beans, and sweet corn. How did we do this? Oh, it is my most favorite trick I’ve come up with for eating a healthy meal in a timely manner. Why have I not been doing this forever? You will not like this tip. And I’m okay with that. But I’ve done it over and over this fall and it has saved my neck, provided healthy meals for my family, and been a huge time saver! Plus, our house hasn’t burned down even one time. Nor have we gotten sick from practicing this method. We have experienced an episode of extra crispy cheese on top of our Cheesy Beef and Rice. I apologized to my family, and they said, “Do it like this every time!” Apparently crispy cheese is a great addition to our culinary experience. Put the casserole in the oven at 200° right before we leave for church, letting it cook slowly while we’re gone. It is hot and ready to eat immediately when we get home. I’ve also done this successfully with a Roast Beef Meal or a Roast Chicken and Veggies. I’m telling you, with just a little work ahead of time, we have been able to walk through the door and be greeted with delicious smelling food – hot and ready to eat. I not only do this every Sunday now, but I’ve been doing it in the evenings when we leave for soccer games. We get home from a game, wash our hands, steam some veggies or get out a salad we’ve made ahead of time, and we’ve got dinner. Healthy, convenient, easy, inexpensive, quick – I’m pretty sure this method of making a meal on the fly covers it all. Ever tried doing this before? Have any healthy casserole ideas that would work well using this method? Are you okay with leaving your oven on a low temp when you leave the house?